President-elect Rodrigo Duterte, has already begun building his cabinet while waiting on his term that will start on June 30, 2016. There are several people that already been choose and has been introduced to the media while few position has not yet been occupied as they still looking for the right person to hired. There are also some several interview asking the incoming President about giving any position on his cabinet the incoming VP-elect Leni Robredo? The Mayor explicitly said that VP-elect Leni Robredo, currently has no position to offer on his cabinet. The President explain that he cannot give any position to Leni Robredo in his cabinet out of respect to the Marcose’s especially Sen. Bongbong Marcos. he doesn’t want to hurt Bongbong because of this alleged fraud or cheat in the result of VP race. The President also revealed that his father was once a cabinet member of the late Pres. Ferdinand Marcos, that their family has been friend’s long time ago. Aside from the President being friend to the Marcos, Leni’s party list belong to the opposite side’s the Liberal Party of the outgoing administration of Pres. Noynoy Aquino, His biggest enemy in the recently conducted election. According to law, the President has no obligation to give any position to VP-elect Robredo. Only a consideration may be given but no obligation. Several Vice president of the past administration has given a position in their cabinet. Former VP Noli De Castro and the current VP Jejomar Binay has both been appointed as Chairman of the Housing and Urban Development Council (HUDCC). Meanwhile, VP-elect Leni Robredo, already give her answer about the President decision of not giving her a position in the administration cabinet. she respect the decision and she also understand her situation. 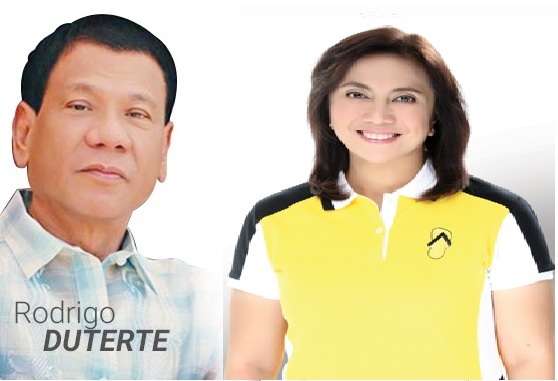 No Comment to " VP-elect Leni Robredo, No Place on President Duterte’s Cabinet "